The winter market saw low kiwi prices, pears stable at more or less the same level as last year, a slight increase in apple consumption and persimmons with good prices despite the amount of waste during processing," reports Raffaele Bucella, market manager for Granfrutta Zani. "We thought kiwis would pick up, but consumption remains low. 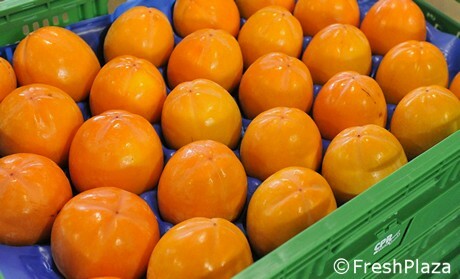 In addition, the availability of Greek kiwis in the past few weeks caused various problems. The quality of the domestic produce is high, so there are no shelf life problems." Granfrutta Zani handles around 10 thousand tons of summer and winter apples every year. "The market is currently not very exalting, but we have noticed an increase in demand. Quality is very good and the produce comes from our partners in Emilia Romagna, Veneto and Friuli Venezia Giulia. Apples have to deal with the competition from Poland and Serbia, which of course have lower labor costs." The persimmon season has ended. "Prices were good in some cases, especially for the high-quality productions. But gross saleable production was not always high, as there were a few warm days in autumn that caused skin problems."